1996 – Dr Dora Bye, described as the “doyenne of the Sancta Sophia alumnae” died in July. 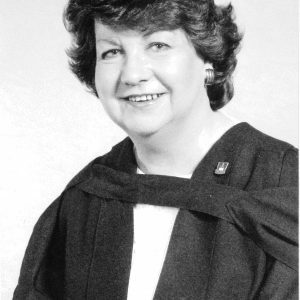 A Foundation Student of Sancta, she was the first graduate elected to the College Council, and served on Council for 53 years from 1938 to 1991. In recognition of her long and valued contribution to the College, Dr Bye was appointed an Honorary Fellow in 1990. 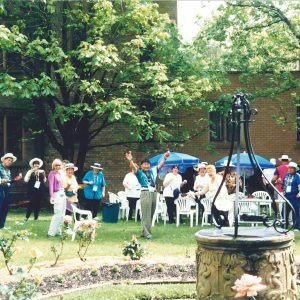 1996 – A “Back to Sancta” weekend was held on 30 November – 1 December to mark the 70th anniversary of the opening of Sancta Sophia College. The celebrations included a Mass, reunion Dinner, and Archives display. 1997 – 14 March saw the launch of the book Wisdom built herself a house: A history of Sancta Sophia College 1926 – 1996, written by Sr Marie Kennedy RSCJ. 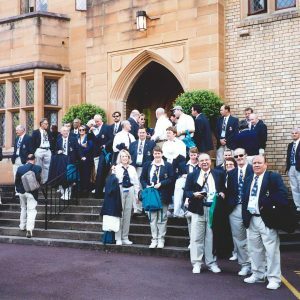 1997 – At the Council meeting of 20 November, Mr John Friday on behalf of the Finance Committee, reported on a proposed contract received from the Sydney Organising Committee for the Olympic Games (SOCOG) to hire the College for three weeks to house Olympic officials during the Sydney Olympics in 2000. 1998 – On 19 March, Mr J Sheldon moved that an Honorary Fellowship of Sancta Sophia College be bestowed upon Dame Leonie Kramer. Seconded by Mrs Diesner, the motion was carried unanimously. 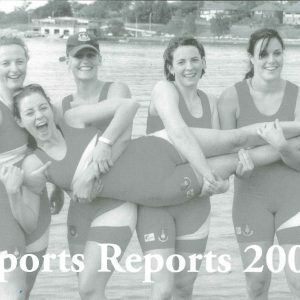 1998 – In her report to Council of 24 September 1998, the Principal Mrs Raggio shared the good news that victories in netball, tennis and softball had been achieved, resulting in Victory Dinners to celebrate. 1999 – Council was advised at its meeting of 18 March that the SOCOG contract had been completed, signed and returned. The College was contracted to provide accommodation for 150 people for 21 nights at a cost of $150 per person. 1999 – Miss Josephine Heesh was elected Chairman of the College Council on 18 March 1999, replacing Mrs Marian Diesner who stood down after eight years as Chairman. 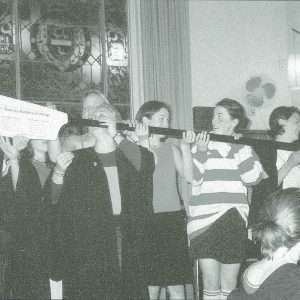 1999 – At the Father / Daughter Dinner on 11 September, the father of the Senior Student, Emma Kirkwood, expressed a hope that Sancta would remain a women-only college. Cries of “hear, hear” from others in attendance suggest that this was a commonly held sentiment. At a time when the issue of co-residence was once again being discussed by the college administration, this was an interesting insight. 2000 – At its meeting of 16 March, the Council was informed that the Provincial of the ANZ Province of the Society of the Sacred Heart had given permission for Sr Marie Kennedy (author of Wisdom built herself a house, and a qualified archivist) to be employed for a short time to bring the College Archives up to date. 2000 – On 3 August, The Chairman advised Council that the recent recruitment action to fill the position of College Principal had been successful, with Mrs Barbara Walsh accepting the position. 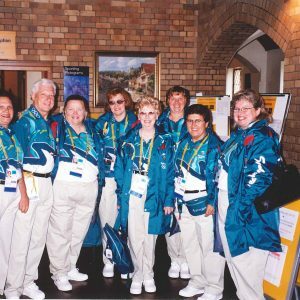 2000 – “And the winner is Syd-eny” – between 10 September and 2 October, Sancta was home to 150 Olympic technical officials during the Sydney 2000 Olympic Games. 2001 – The minutes of the Council meeting of 15 March note that the student shop was relocated from the Missenden Road Door to the Octagon, a move which “improves student access to this facility”. Perhaps those many students who fell victim to the “Sancta spread” over the years would argue that such improved access was not necessarily a good thing! 2001 – Some 170 people attended the official Jubilee Dinner to mark the 75th Anniversary of the College on Saturday 18 August. The dinner was held in the presence of Her Excellency Professor Marie Bashir AC, Governor of NSW. 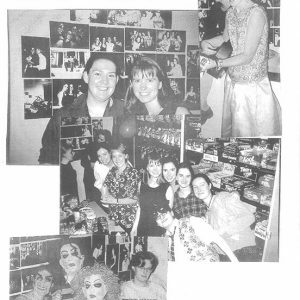 2001 – saw the introduction of a new Intercollege Performing Arts challenge – the Palladian Cup. The cup was donated by Sancta Sophia College which hosted – and won – the inaugural challenge on Monday 17 September. 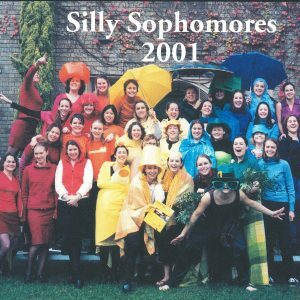 2001 – saw another intercollege victory for Sancta, this time in rowing, ensuring a well-deserved Victory Dinner celebration would be held and the Sancta song would be sung with gusto. 2002 – Former College Principal, Sr Yvonne Swift passed away on 10 April. The College was represented at her funeral by the Principal and a number of students. A lawyer by training, Sr Swift resigned in 1972 after 14 years as Principal of Sancta and returned to legal practice. Her obituary in the Sydney Morning Herald described her as “a beacon of hope for many of those discarded by society”. 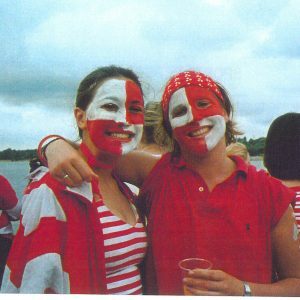 2003 – saw the College become the recipient of two extraordinary acts of benefaction, one a generous bequest from the Estate of the late Olive Arnold, and the other a sizeable donation from Lady Mary Fairfax. In the absence of government or Church funding, such acts of personal generosity were crucial to the ongoing operation of the College. 2004 – At its meeting of 23 September, Council extending its congratulations to the Sancta debating team on their victory in the 2004 Intercollege Debating Competition. 2005 – marked something of a “changing of the guard”, as long-term Councillors Mrs Marian Diesner and Dr Margaret Bermingham retired from Council at the end of 2004 after 16 years and 31 years respectively, and Miss Patricia Horsley ended her 41 year term on Council at the end of 2005. Faced with the formidable task of being the first lay Principal of a College founded and conducted by a community of nuns, Janice Raggio arrived at Sancta Sophia in February 1992 from St Thomas More College at the University of Western Australia. 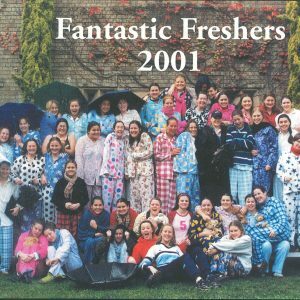 Originally from South Australia, Janice held a BA (Hons) and a DipEd from the University of Adelaide. Widowed when her two sons were quite young, she knew well the role of a career woman with family responsibilities. The possibility of the appointment of a lay Principal had been foreshadowed in the late 1970s, when the Society of the Sacred Heart increasingly experienced difficulty in finding suitable candidates to fill the role. On 16 April 1982, amendments to the Sancta Sophia College Act were passed, to the effect that the Principal can be other than a nun. Barbara was born in New Zealand and studied law in Wellington. She completed her Articles in the family law firm and then married an Australian diplomat. For the following 30 years they travelled extensively. Barbara practiced at the Bar in Auckland and in 2000 was invited to apply for the position of Principal at Sancta Sophia. John Sheldon made an immeasurable contribution to College and his position on the Council provided continuity with his family who were generous benefactors of the College since its founding. 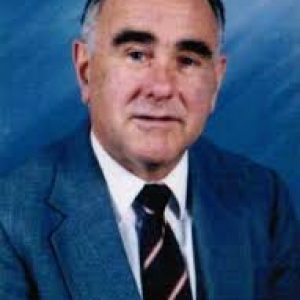 John chaired the Policy, Mission and Philosophy subcommittee of Council for over 10 years and was instrumental in the establishment of a scholarship and bursary policy to ensure consistency with the granting of scholarships and bursaries from year to year, and was part of the committee to award scholarships and bursaries. He was on the interview panel for several Principals, and encouraged them to require a standard of high academic achievement across the student body. John contributed to the formulation of many College policies including the introduction of resident assistants and their training and qualifications as well as the investigation into whether Sancta should become co-residential. John introduced the concept of Fellows of the College, and promoted relevant worthy persons for that award. A significant project overseen by John was the writing of the College history, Wisdom Built Herself a House, by Sr Marie Kennedy during the mid-1990s. Elected to fill a vacancy caused by resignation of Dr Patricia Coyle, Patricia Horsley’s election to the Sancta Sophia College Council was noted in minutes of 3 Sep 1964, and she was welcomed to her first meeting on 3 June 1965, following her return from overseas. 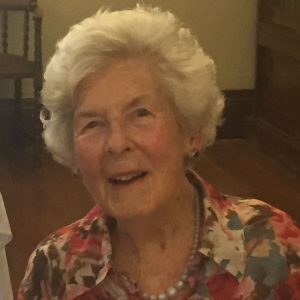 An alumna of Rose Bay Convent School, Patricia graduated Bachelor of Architecture from the University of Sydney in 1954. Her sister, Mary, also studied architecture and was also a resident of Sancta Sophia College. During her time on Council, Patricia’s experience as an architect was much valued as she provided advice on various College building projects. A great supporter of history and the arts, she also made a valuable contribution to the management of the College’s library, archives and treasures, and organised several significant art exhibitions. Most notable of these was “The Broad Canvas, Art in Australia 1770 – 1967”, held in 1967. The exhibition featured over 180 pieces and received many favourable reviews. Opened by the eminent Art Historian Professor Bernard Smith, it featured more than one hundred artists from Charles Condor to Arthur Boyd, and was described as one of the first of its kind to envisage Australian art from the voyages of Captain Cook to contemporary times. Patricia retired from Council in 2005, after 41 years’ service.